Talk in Co Co Lanzarote on Monday 27th. October at 7:00 p.m. By José Luis Pérez and Marian Burelo. José Luis y Marian are 2 Mexicans from Puebla y Veracruz, who have lived in Playa Blanca for 3 and a half years. 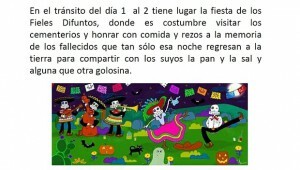 They are going to tell us the meaning of this date for the Mexican people and how Mexicans celebrate this day. 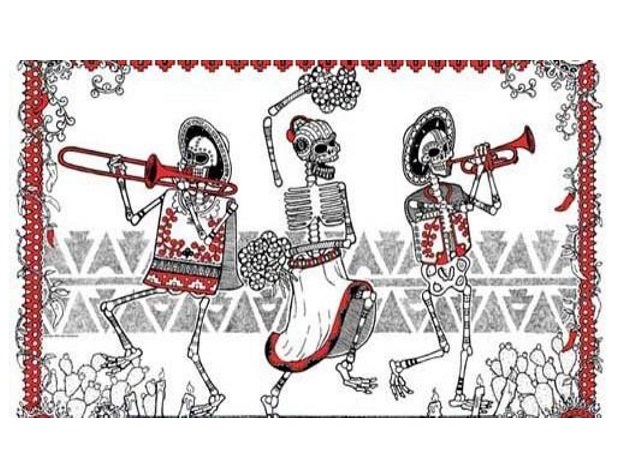 Day of the Dead (Spanish: Día de los muertos) is a Mexican holiday observed throughout Mexico and around the world in other cultures. 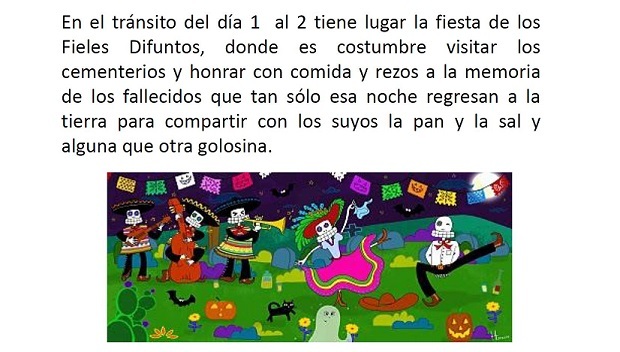 The celebration takes place on October 31, November 1 and November 2, in connection with the triduum of All Hallows’ Eve, Hallowmas and All Souls’ Day. 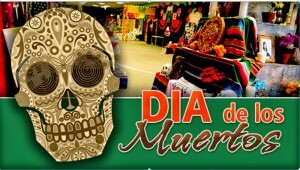 The Day of the Dead celebrations in Mexico can be traced back to a pre-Columbian times. 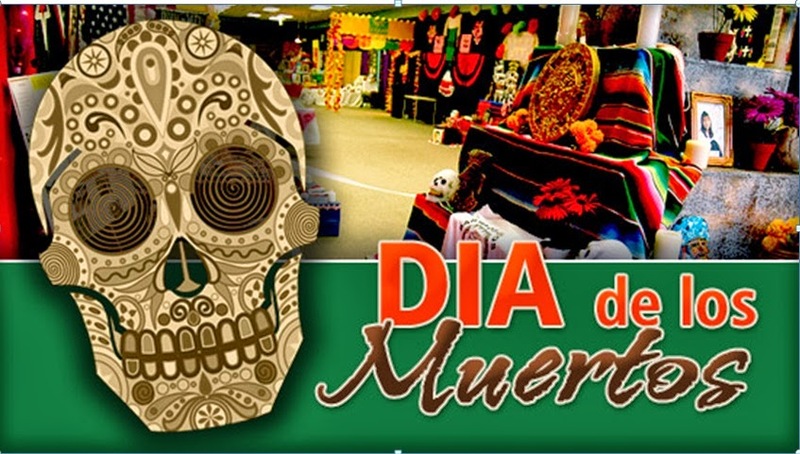 In the pre-Hispanic era skulls were commonly kept as trophies and displayed during the rituals to symbolize death and rebirth. 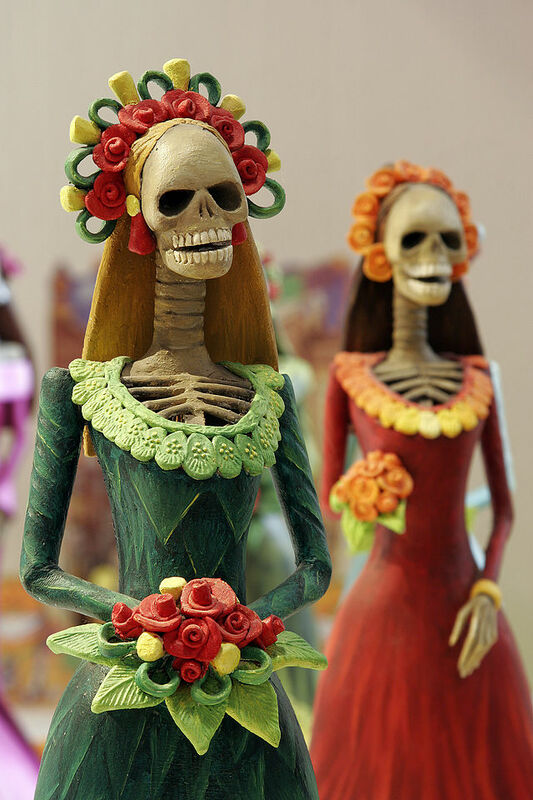 Traditions connected with the holiday include building private altars called ofrendas, honouring the deceased by using sugar skulls, marigolds and the favourite foods and beverages of the departed, and visiting graves with these as gifts. People go to cemeteries to be with the souls of the departed and build private altars containing the favourite foods and beverages, as well as photos and memorabilia, of the departed. The intent is to encourage visits by the souls, so the souls will hear the prayers and the comments of the living directed at them. Celebrations can take a humorous tone, as celebrants remember funny events and anecdotes about the departed.